Though I am an English major, one thing I’ve noticed with all degree programs is that at one point or another, we all need to write a paper or an essay. One of the most important aspects to a formal piece of writing is having a thesis, or thesis statement. You might be mulling this over in your head right now as if to think, yes, I use this word a lot but what does it actually mean? When I looked up the word on google, the answer I received was that a thesis is: “A statement or theory that is put forward as a premise to be maintained or proved.” Basically, you’re making a proposal, but you have to argue the validity of it by using evidence. 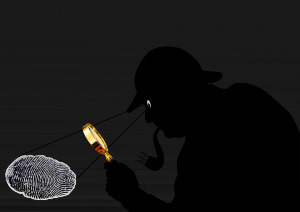 In a way, writing a formal paper is like being a detective. You have a theory, and you’re gaining evidence. Now, you just have to put all of the pieces together to prove your theory. Let’s say you’re going to write an essay on how ill you’ve been feeling lately. You could just say, “I have a cold,” or, you could write down what gives you this conclusion. For instance, Thursday morning, you woke up coughing, then by the afternoon your nose started to feel runny. Throughout the day, you make notes of your symptoms and you also check your temperature and record the results. After a few days of documenting your symptoms, you now have evidence of the fact that you have a cold, and you can now argue your case. Evidence is always key, now get out there and start investigating! See the SASS website for helpful tips on writing a thesis statement.